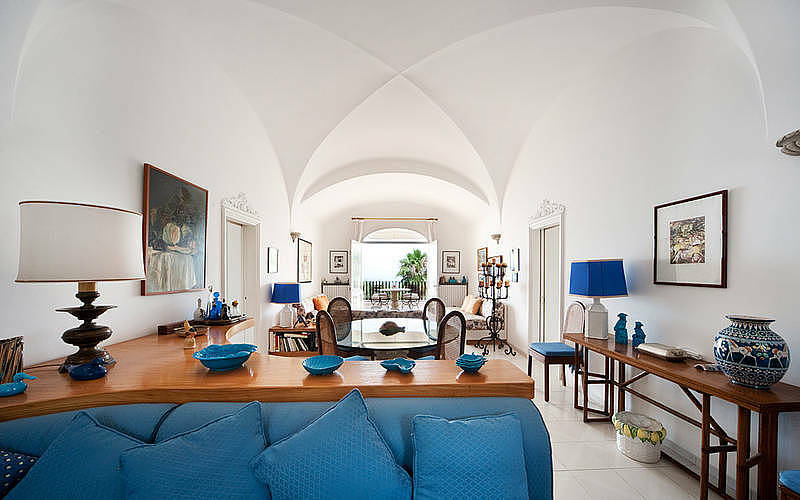 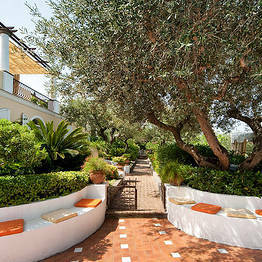 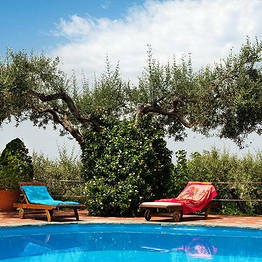 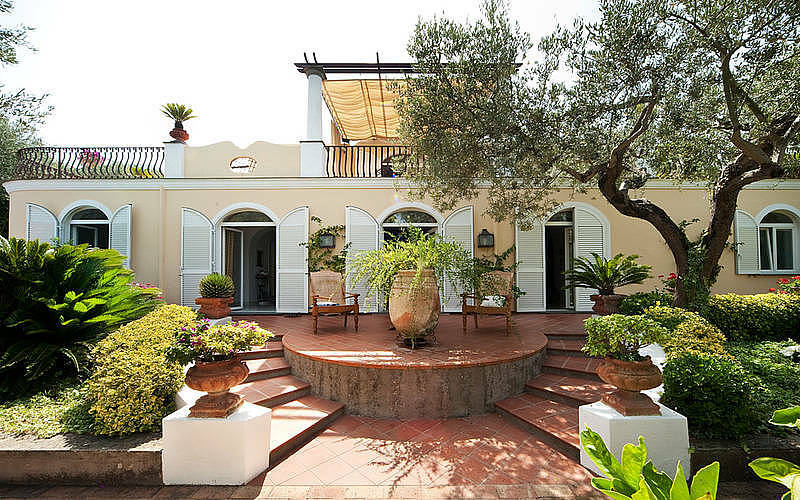 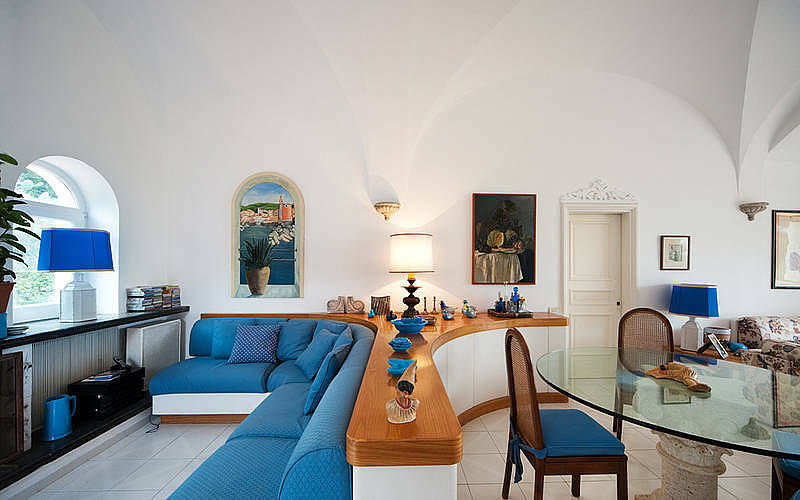 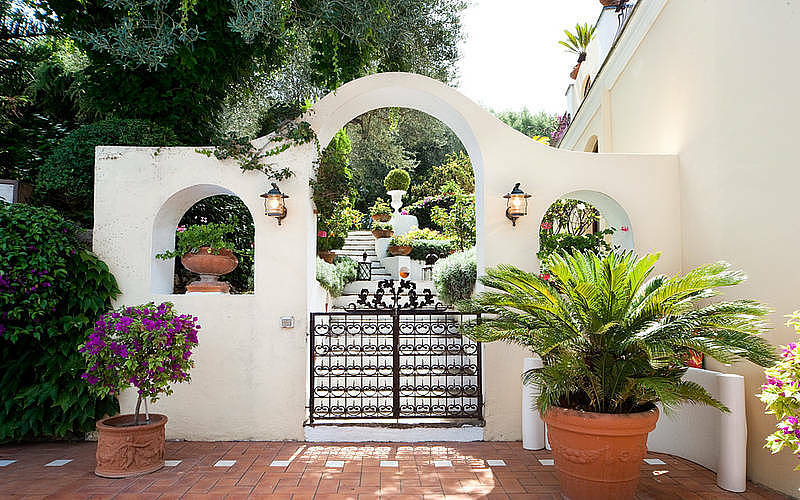 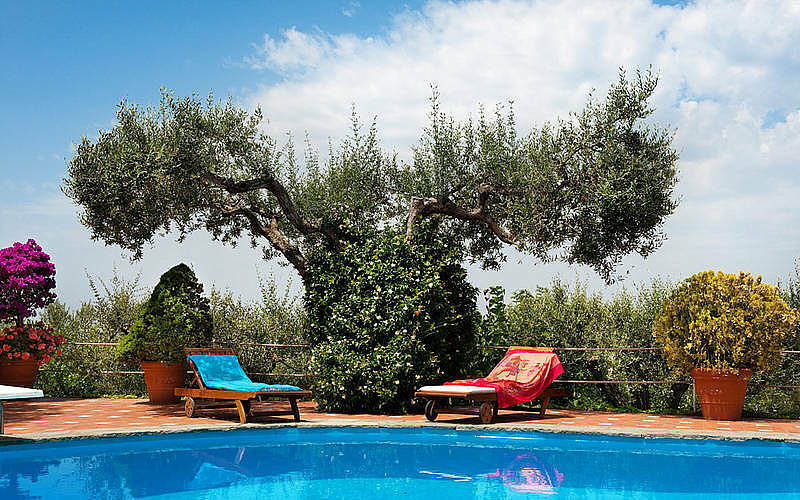 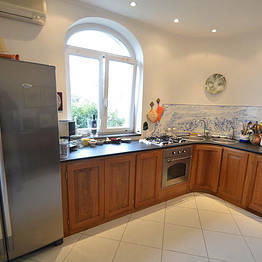 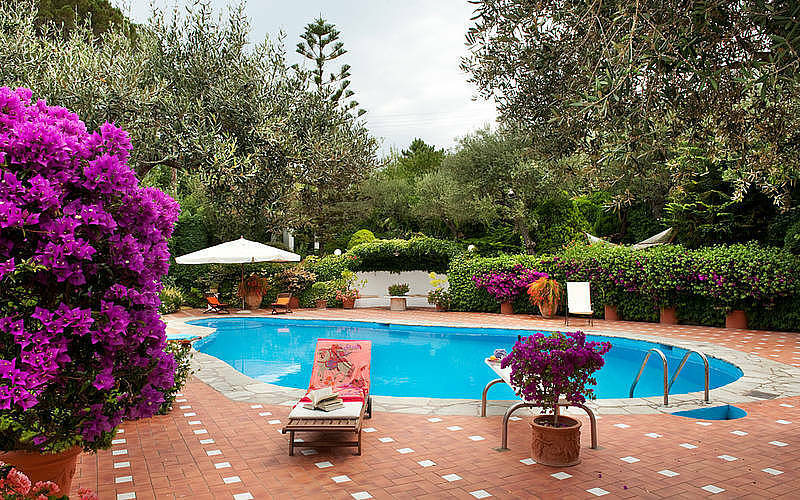 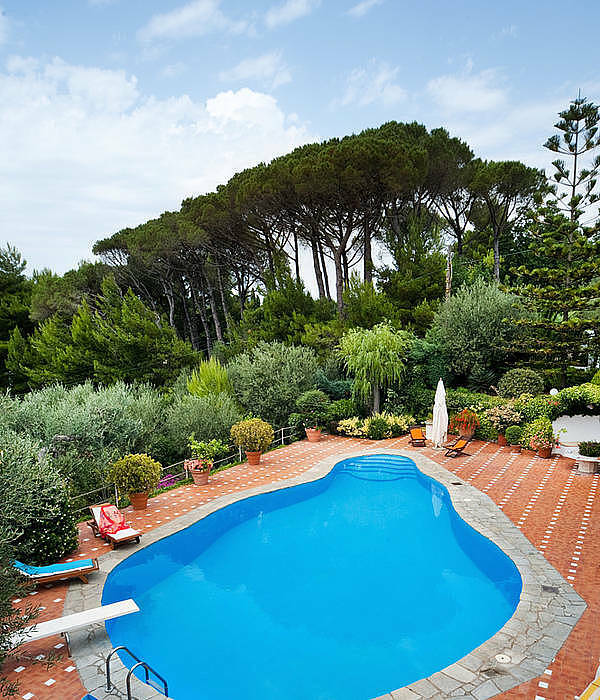 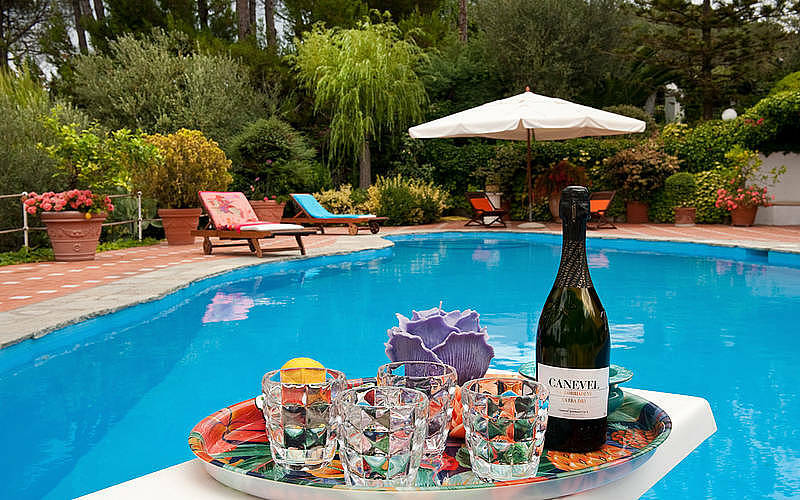 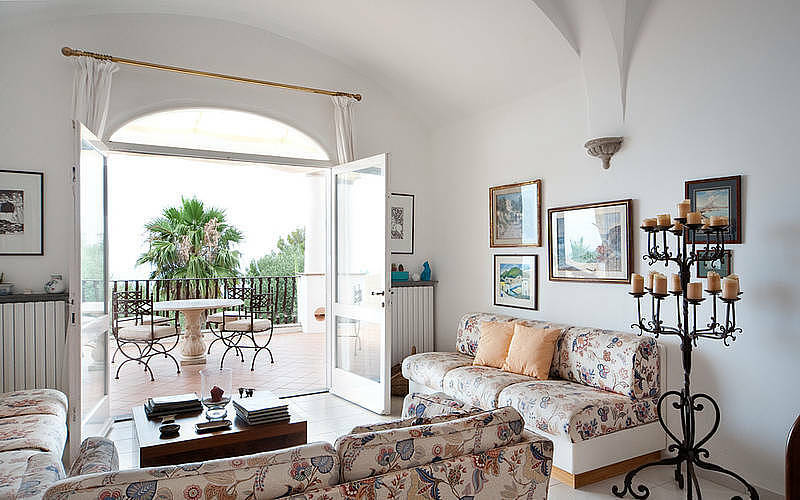 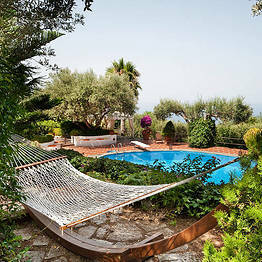 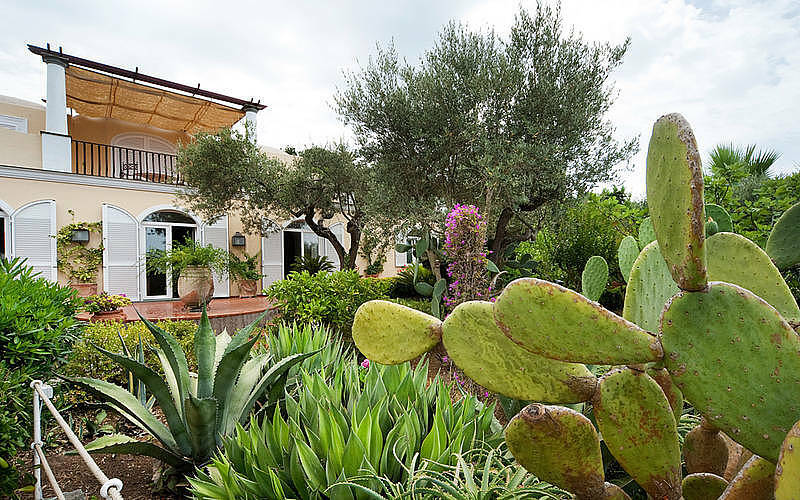 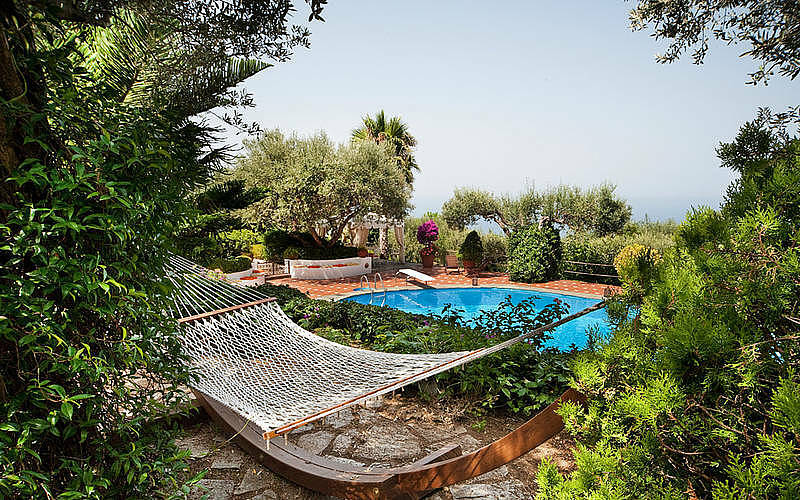 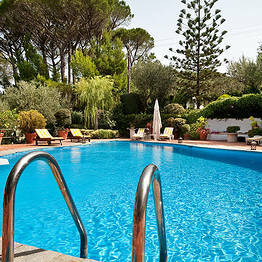 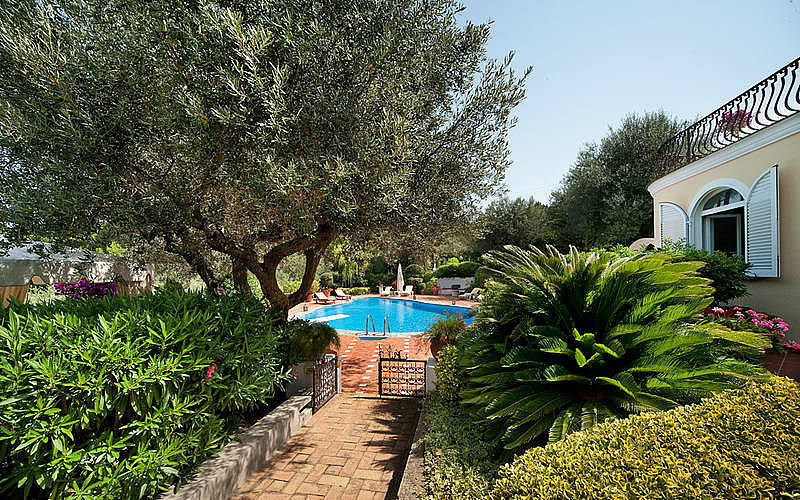 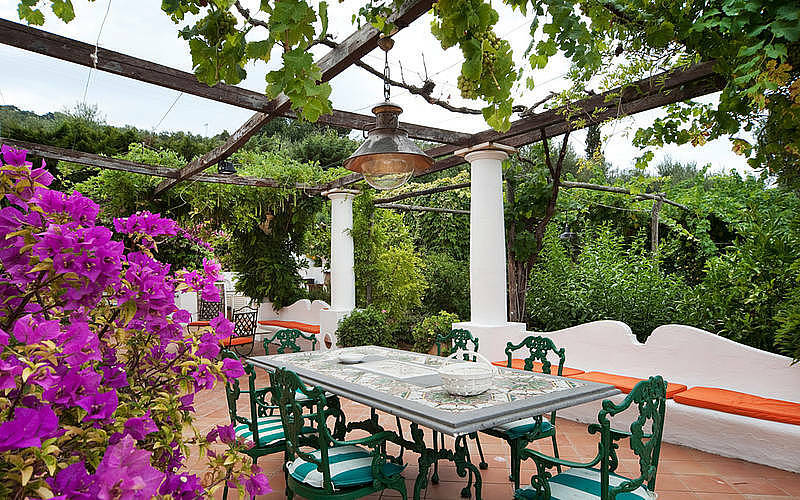 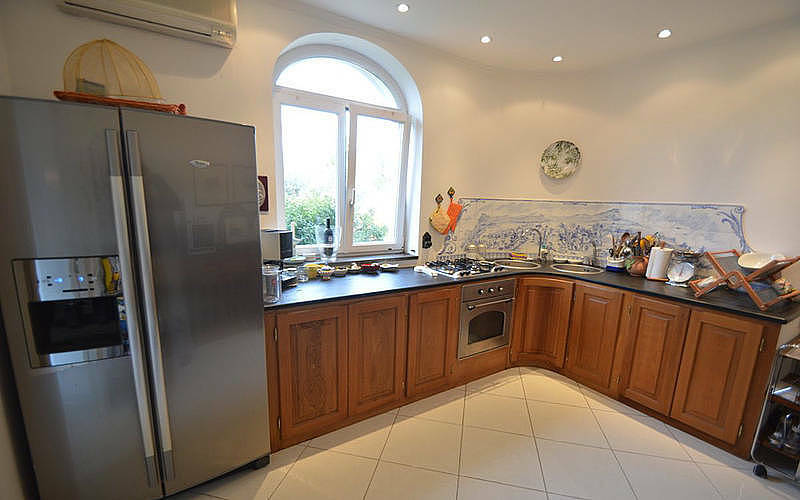 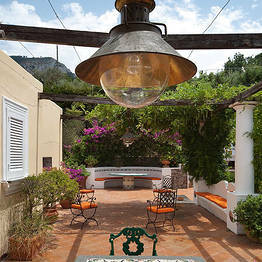 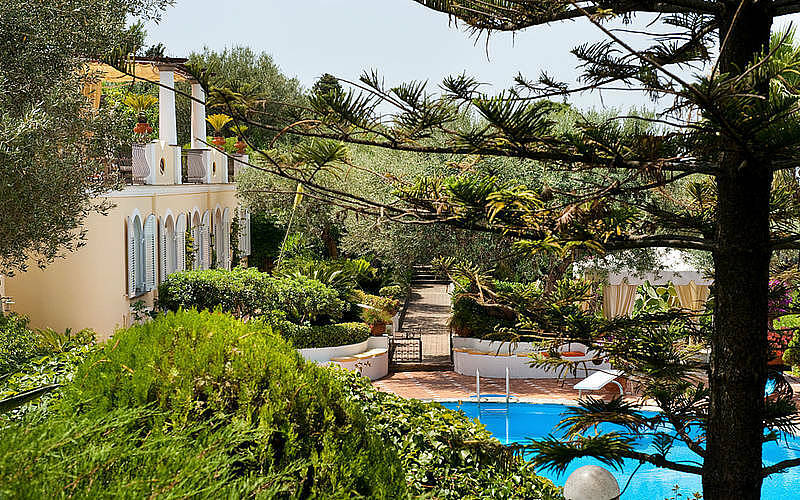 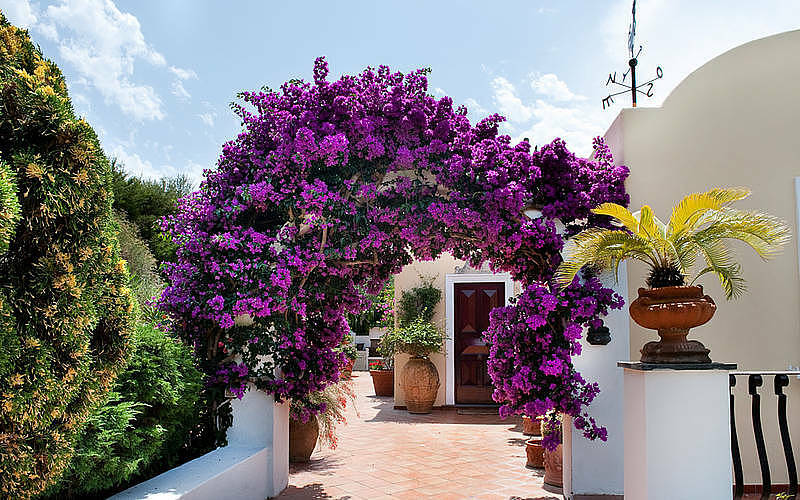 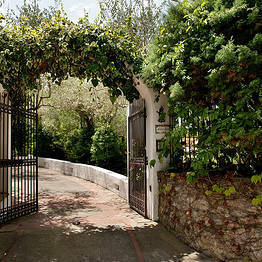 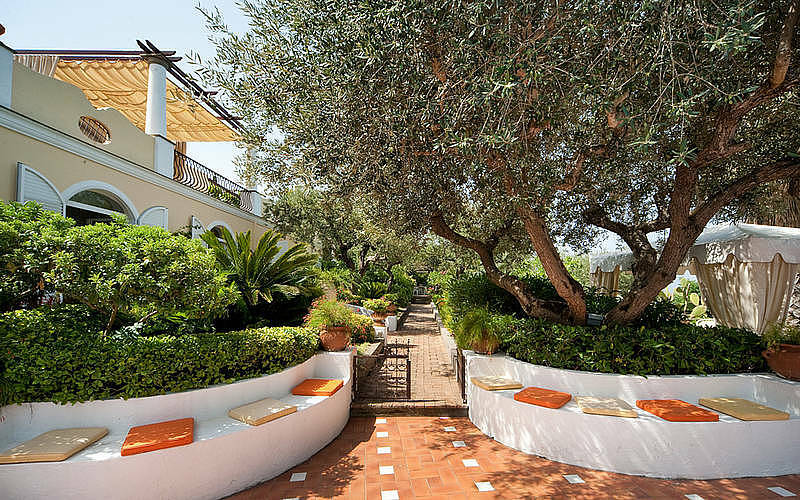 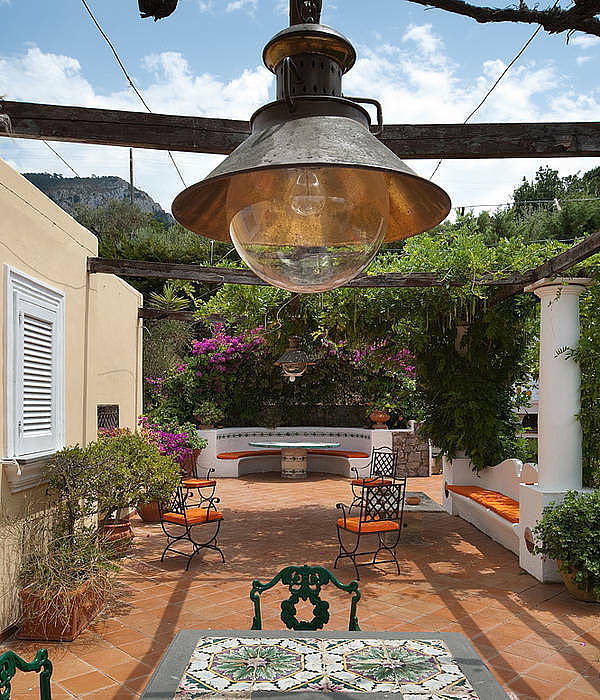 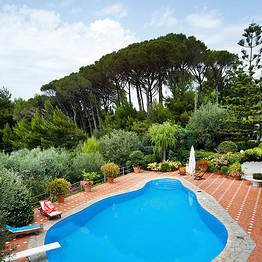 Imagine the luxury of an Italian villa surrounded by a sweeping garden just for you, with panoramic terraces overlooking the most spectacular sunsets on the island of Capri and sea breezes scented by citrus trees and tropical flowers. 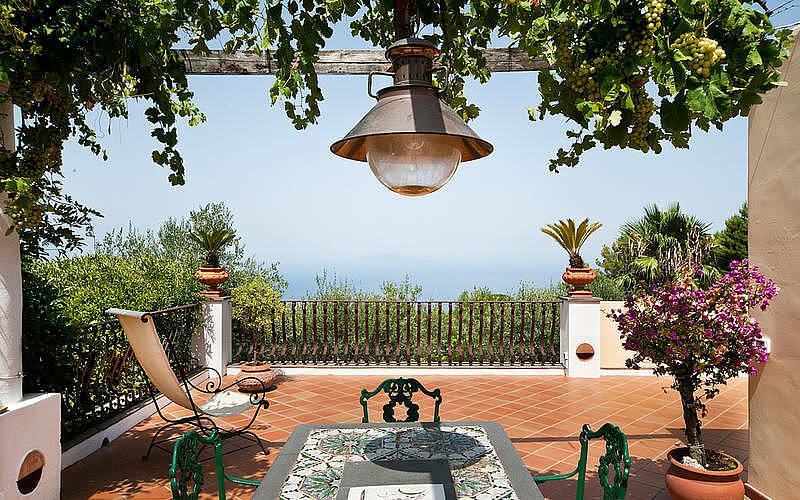 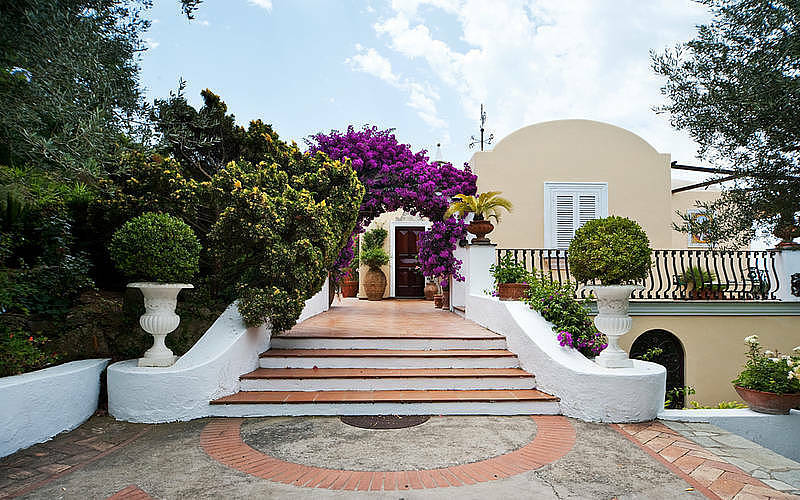 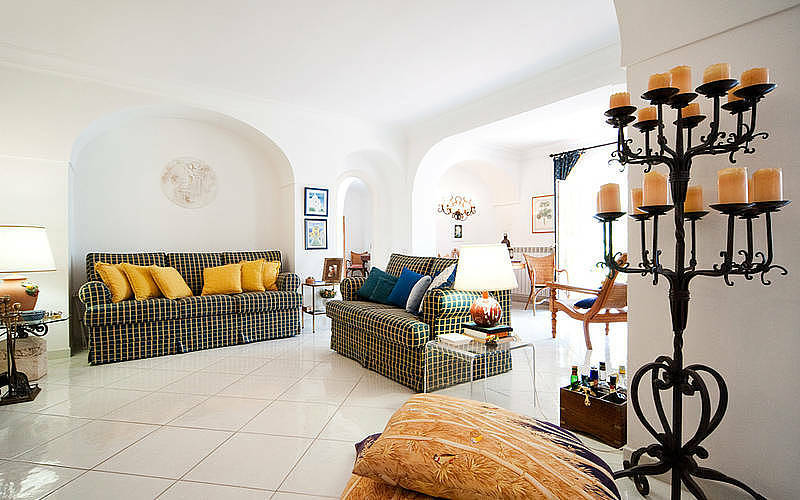 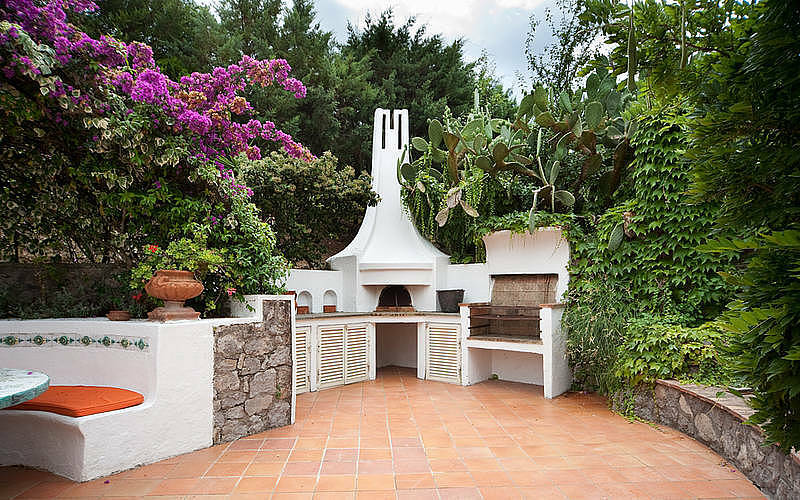 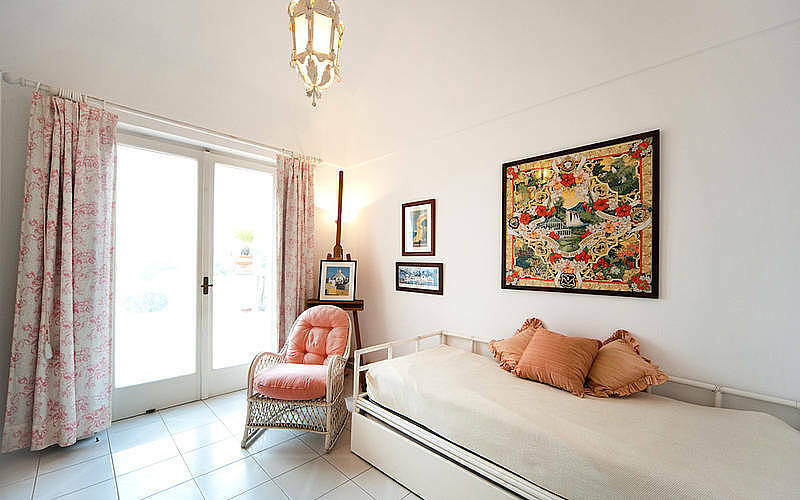 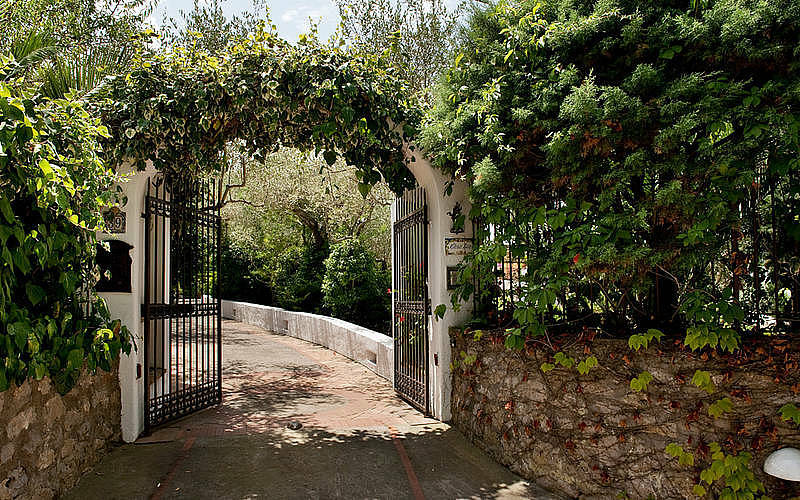 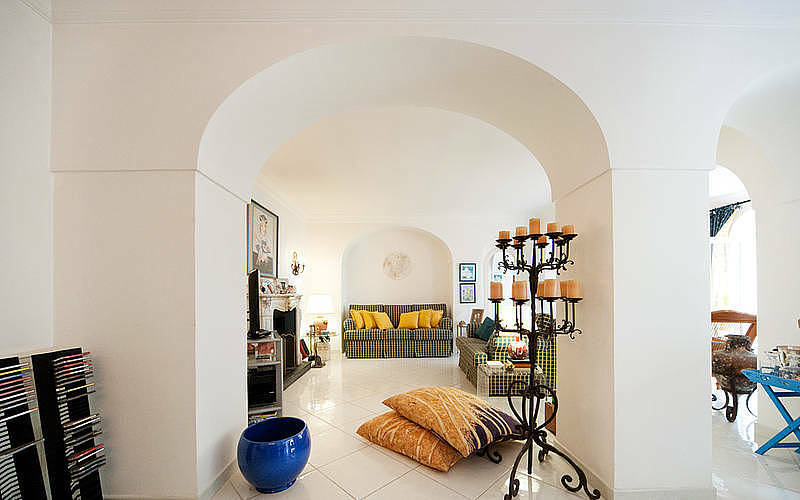 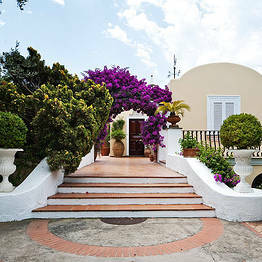 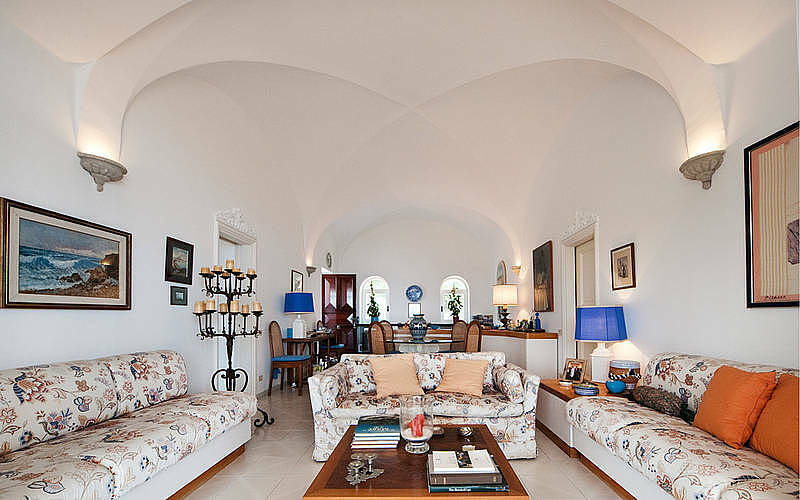 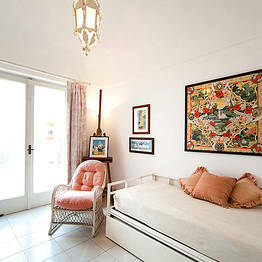 Make your dream come true at Villa Casa Mia, a luxury vacation villa in Anacapri just minutes from the Punta Carena lighthouse. 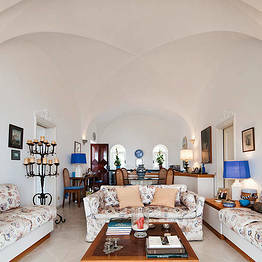 Feel at Home on an Estate! 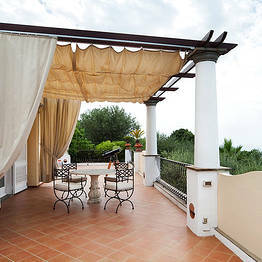 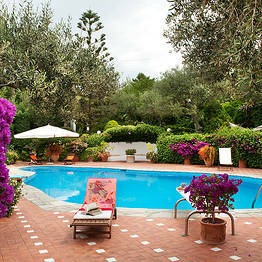 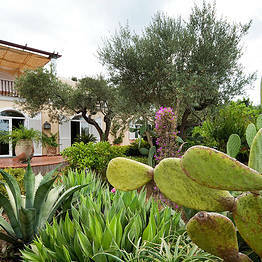 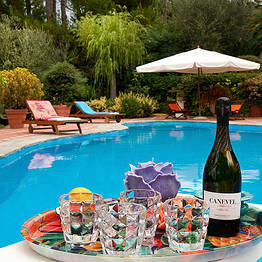 Villa Casa Mia is unique for its lush garden surrounding the elegant villa, where guests can settle in and relax both in the informal and friendly atmosphere inside and in the quiet and peaceful areas under the shade of flower-covered gazebos and pergolas outdoors. 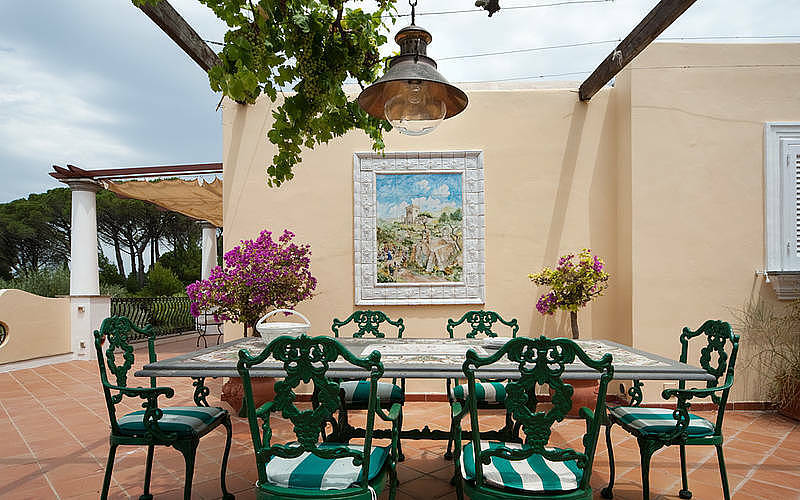 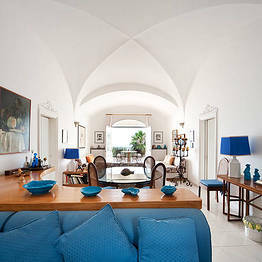 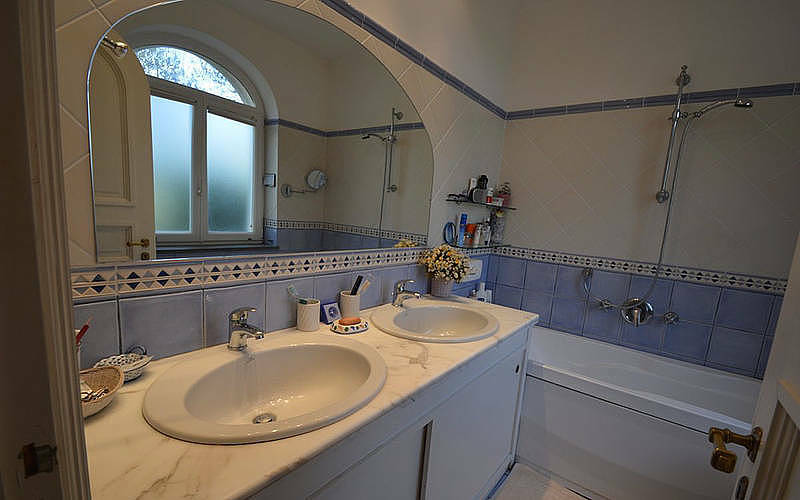 The villa has two independent levels, each of which has a sweeping living area with a large marble or ceramic tiled fireplace, full kitchen, and bedrooms with private access to the outdoor terraces, garden, and pool. 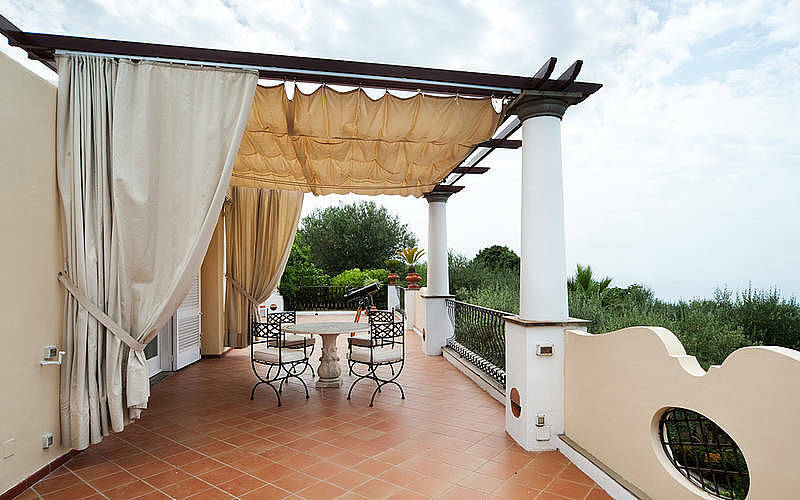 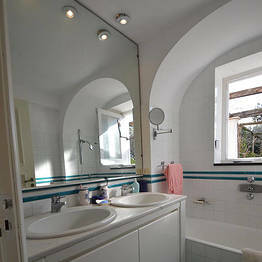 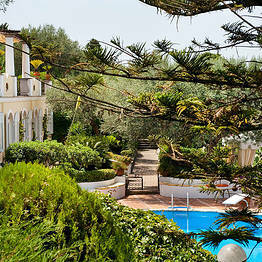 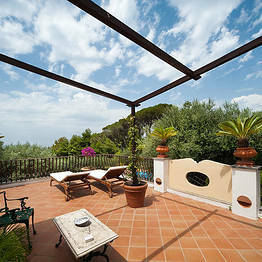 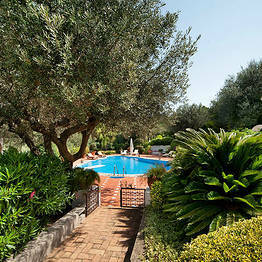 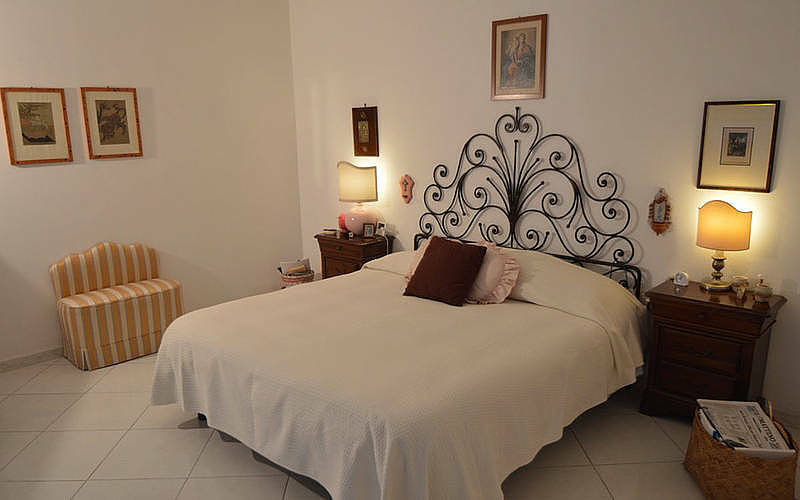 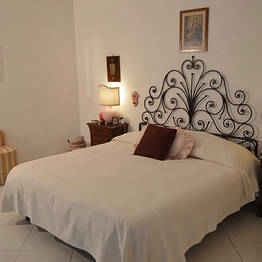 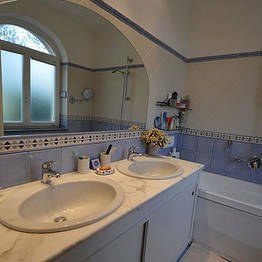 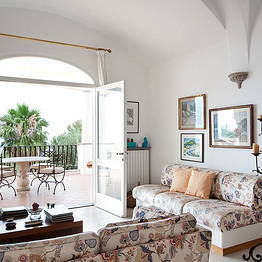 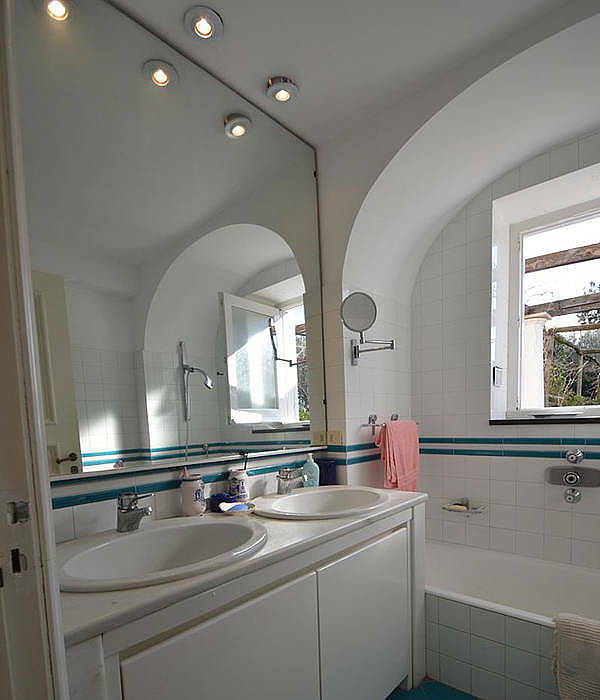 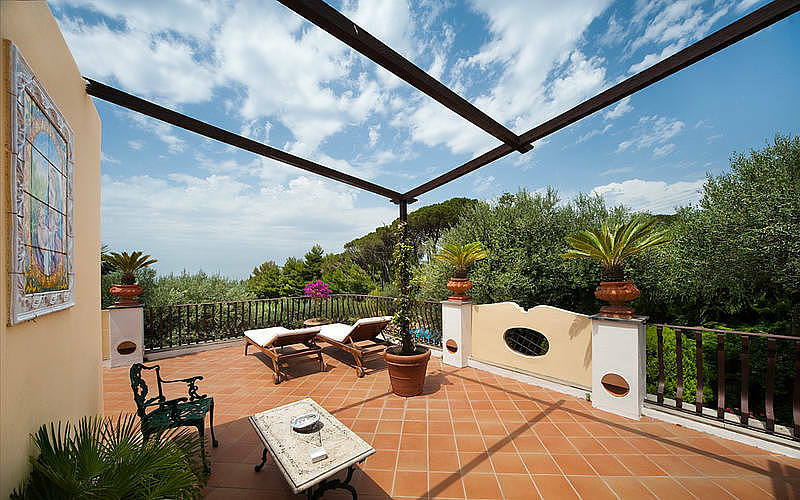 At Villa Casa Mia, there is no such thing as a room without a view. 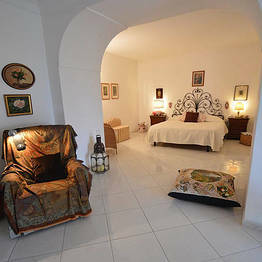 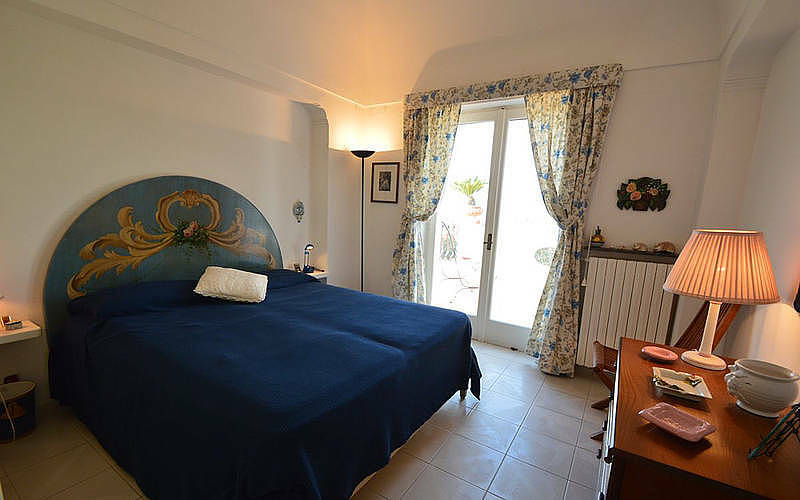 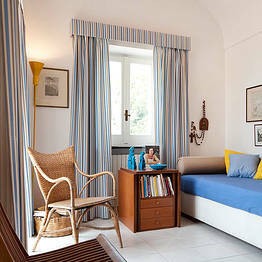 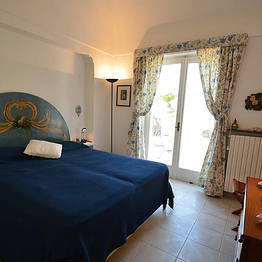 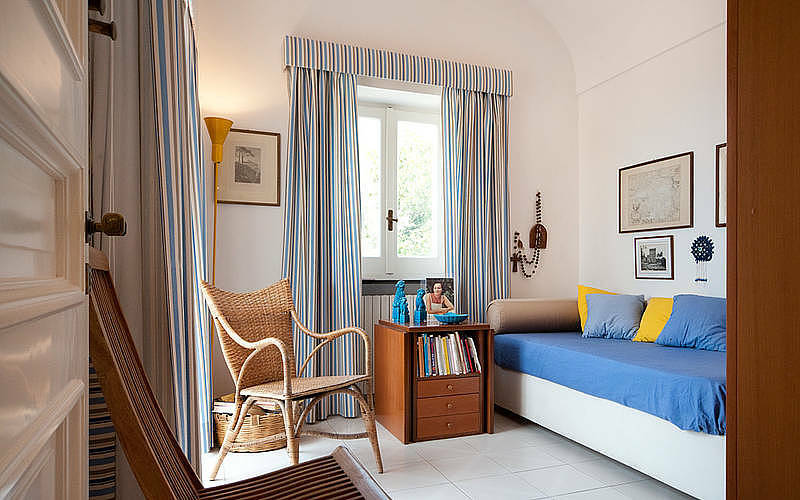 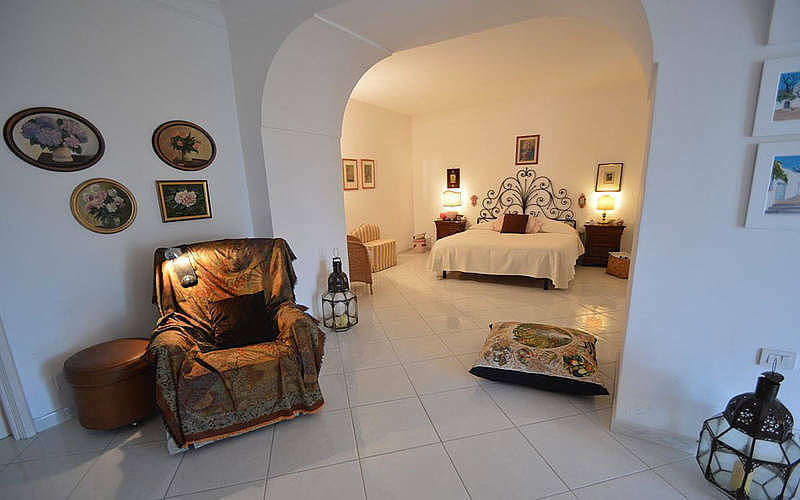 From the islands of Ischia and Procida to the north to the spectacular Bay of Naples to the south, each bedroom offers a stunningly unique view. 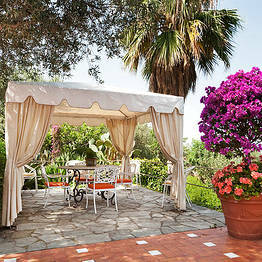 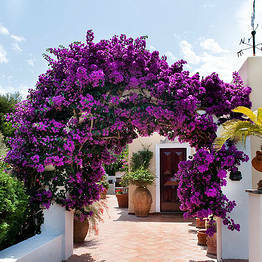 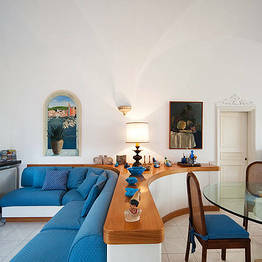 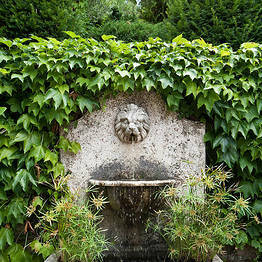 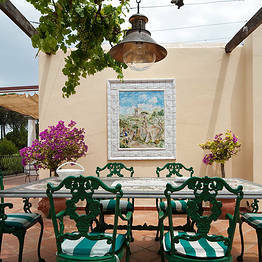 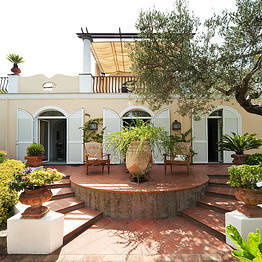 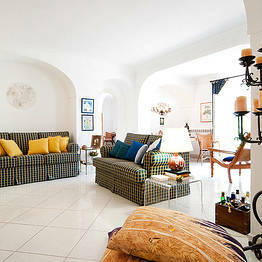 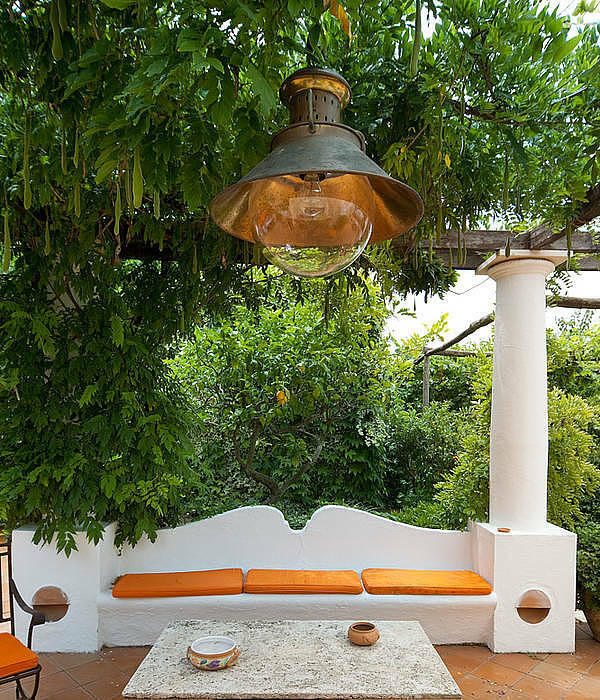 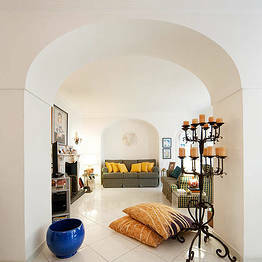 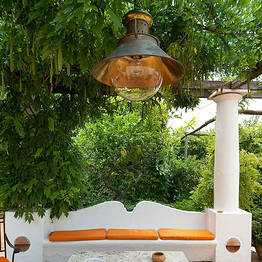 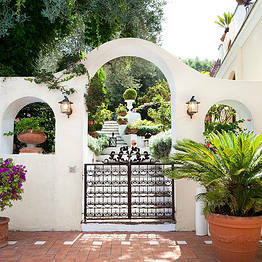 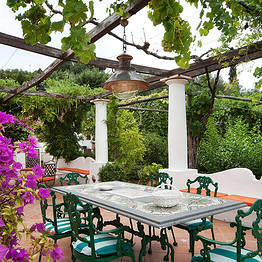 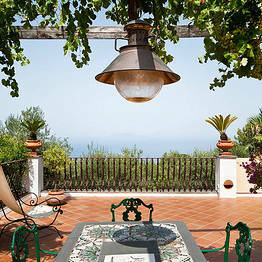 Though the interior decor of Villa Casa Mia is lovely, the outdoor spaces will take your breath away. 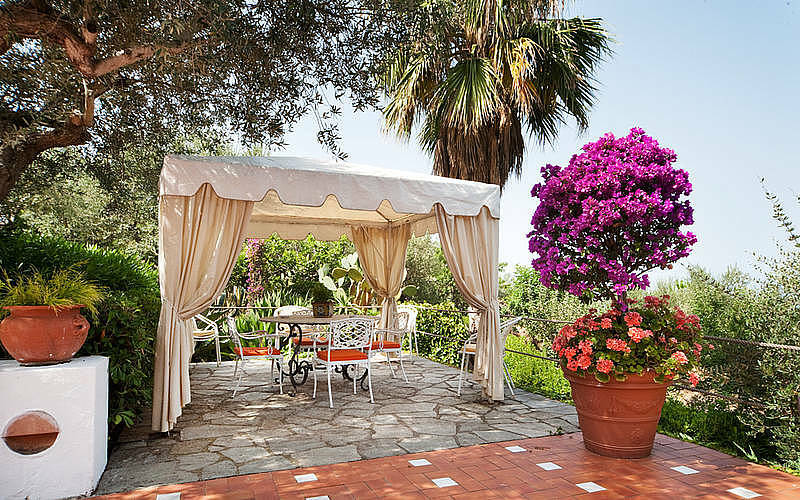 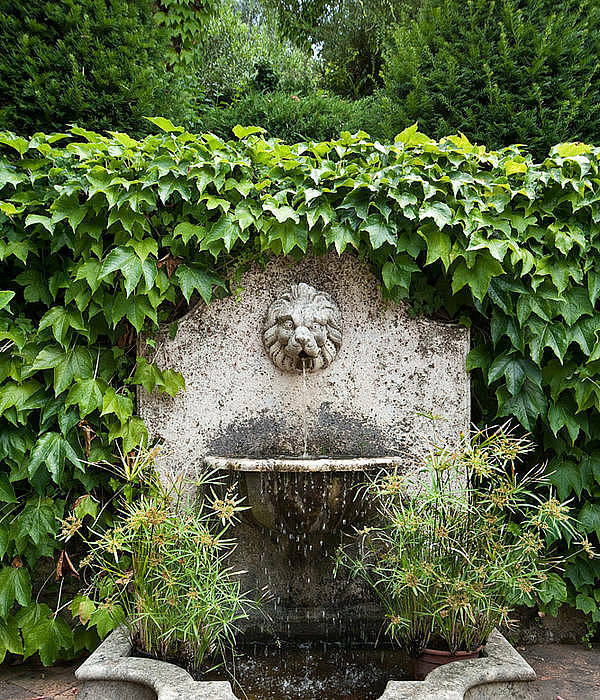 Guests have full use of the 5,000 square meter garden where hidden pergolas and gazebos furnished with loungers and dining sets beckon against the background music of the garden's central fountain. 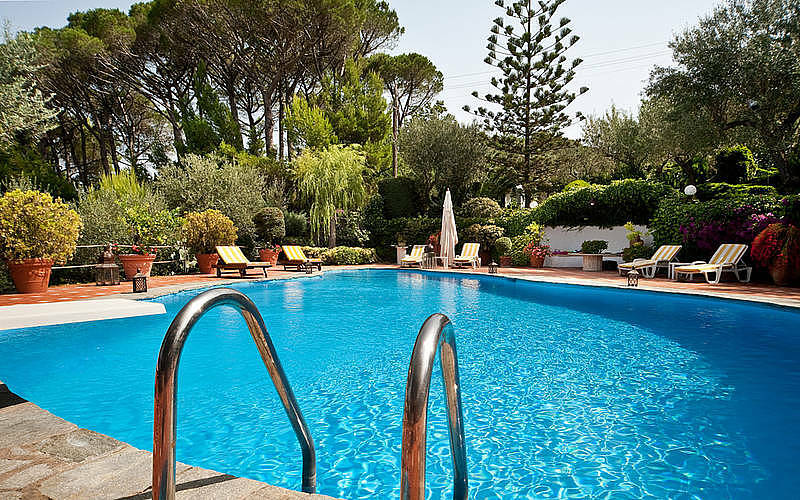 Escape the summer crowds and spend your afternoons lounging in the large outdoor pool with a sundeck and view and organize meals al fresco with the outdoor wood-burning oven and barbecue.